The World Boxing Organization (WBO) announced the officials for this Saturday, June 9, clash between WBO Welterweight Champion, Jeff Horn, from Australia, and WBO Super Champion, and former Lightweight and Junior Welterweight Champion of this sanctioning body, Terence Crawford, from The United States. For this bout, which will headline the card presented by Top Rank from the MGM Grand Garden Arena in Las Vegas, Nevada, the referee will be Robert Byrd, from the United States. Australian Adam Height, Nevada’s Burt Clements and Italy’s Guido Cavalleri were appointed judges for the bout. The WBO Supervisor will be WBO President Mr. Francisco “Paco” Valcárcel, Esq. For Horn (18-0-1, 12 KOs), it will be his 2nd defense of the title he won by beating legendary WBO Super Champion, Manny Pacquiao. On his part, Crawford (32-0-0, 23 KOs) is looking to be crowned a three division WBO World Champion with a victory over Horn. Oscar De La Hoya (130 lbs, 135 lbs, 160 lbs), Miguel Cotto (140 lbs, 147 lbs, 154 lbs), Jorge Arce (108 lbs, 115 lbs, 122 lbs), and Fernando Montiel (112 lbs, 115 lbs, 118 lbs) are the only fighters who have won WBO crowns in three different divisions. 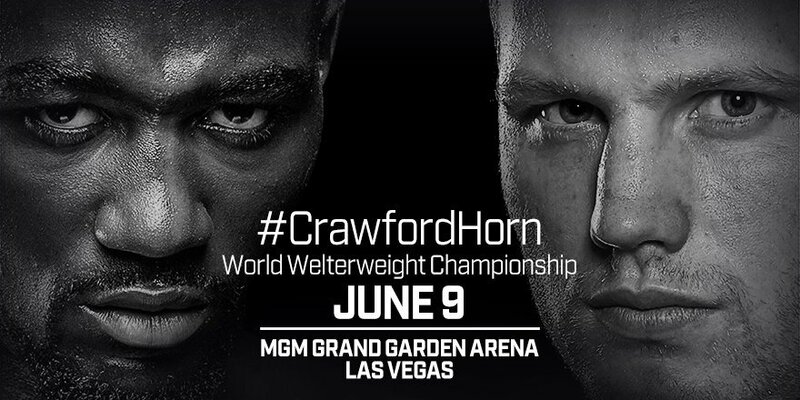 Horn-Crawford will be broadcast live via ‘ESPN+’ App, starting at 9:30 p.m. (Eastern Time).